Does the idea of having to sell make you want to run away? When most of us think about selling, we imagine a second-hand car salesman with a cigar and a sneaky grin. Or we think of a persistent cold caller interrupting our dinner. But selling doesn’t have to be this way. You can sell without being pushy. Without dirty tactics. Without selling your soul. Want to write better sales texts? This weekend I leafed through the Christmas catalog of UK wine merchant Laithwaites. I didn’t order any wine (honestly!). But I felt inspired to write this post. So we’re absolutely thrilled to offer you privileged access to a pure Nebbilo normally set aside for close friends and members of the Monti family. We were the first foreign wine merchants to be invited onto the estate in the early 1980s, and we still enjoy privileged ‘local’ access. Making people feel special is a lovable form of scarcity—a well-known persuasion technique described by psychologist Cialdini in his book Influence. How can you make your clients feel part of an exclusive club? Think about a hand-written thank-you card, an exclusive bonus or gift for loyal clients, or a waiting list to start working with you. Is your service worth waiting for? Ask a sommelier, wine critic or trade professional to name their favorite white grape and chances are they’ll say Riesling. Mature, rare 1996, only £40 … but shhhh! 18 years old, full bodied and perfectly mature – uncorking this fine vintage will be an unforgettable moment for any Champagne lover. And we’ve made it a lot more affordable by striking a secret deal with the Champagne house. When I shared my best copywriting tips in a slidedeck earlier this year, a friend commented I was giving away all my trade secrets. But do you think I cared? Sharing those secrets helped me gain a new audience and boost my authority. When you tell people how to do something, you’re not undermining your position. You’re building trust. Many people don’t want to make an effort or don’t have the time to follow your instructions. They’ll call you to do it for them instead. Sharing your secrets gives you an air of confidence. Which secrets can you share to boost your authority? And find more clients? Do you think we drink wine just to quench our thirst? Or to make our food taste better? We were grinning from ear to ear when we tasted this, and so will you. Your Christmas guests will be swept off their feet by the mouthfilling richness of ripe peach and apricot flavors. These aren’t bottles to open if you want your Christmas guests to go home any time soon! Selling a product or a service is often about a transformation. How do you make your clients feel better happier, safer, or more in control? How can you give them a sense of belonging? Stories transfer us to a different world. They let us visualize a specific scene or experience a journey. They are a patient lot in Pomerol – it’s essential for making wines that are “absolute in wine seduction” (Decanter). But after nine years of wondering when Laithwaite’s were going to collect the wine we bought in 2005, finally the winemakers snapped and called our Bordeaux buyer, Jean-Marc. “What wine?” Jean-Marc said, jumping in his car to Pomerol. He found a dropdead gorgeous 2003 ready to ship for Christmas … blushes, yes, but also huge excitement! In a world of yellow highlighters and websites shouting BUY NOW!, it’s easy to forget that selling is about people. But as Cialdini has pointed out, we’re more likely to say yes to someone we know and like. When leafing through the wine catalog, I notice smiling images of the company’s founder (with a glass of wine or champagne of course!). The opening page includes a “personal” letter with a hand-written signature. The wine catalog is full of snippets of information about winemakers, their family connections, and photos of real winemakers harvesting grapes or tasting wine. How can you make your web visitors feel closer to you? Dirty sales tactics are designed for selling to strangers. But thanks to the internet, the world is becoming a global village. We make friends across the world. And we buy from people and businesses we know, like, and trust. Treat your buyers like friends. Be genuine. Be helpful. Be lovable. As a kid, I was fascinated by giraffes and their long necks. Oh, my goodness! I could recognize all these sales techniques in other catalogs I buy from, and also in much of your work. Best of all, I think I have been doing this, which may partly explain when my rates of follow-through are higher, right? When I’ve told a story, often it’s about tiny glimpses into my life or my troubles. Folks seem more eager to connect to a real person, don’t they? That is one thing I love about your site, that feeling of knowing a real person, being “in on” personal secrets, etc. One seed merchant I’ve bought from for years always photographs his huge dahlias in the hands of one of his daughters. Time passes and amazingly this child has grown to become one of the vice-presidents of the company. I certainly want to buy from her, since I almost feel as if she is my own daughter or niece. 🙂 It’s that insider feel, you know. only a feeling, but so strong a tie! A lady in England is waiting for my next post about the baby chicks we just bought. They will have more wing feathers in today’s photographs, and she is so anxious to see them again. Just as you say, the connection is there, has very little to do with either of our products, but is that human connection we all long for. Thanks for these great insights! That’s a wonderful story about the seed merchant showing photos of dahlias in the hands of one of his daughters! That’s such a great way to add personality and to show you’re a family business. I read so often about “we’re a friendly family business” – as if being a family business is enough to prove you’re a good business. 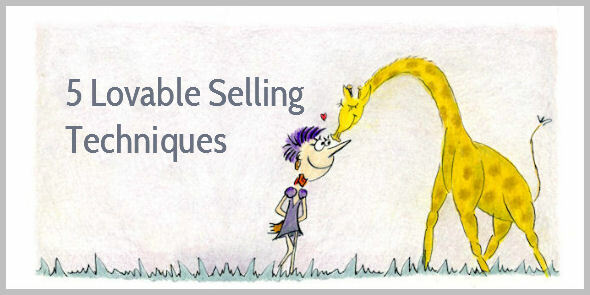 Henneke, a fabulous post here covering a real recipe for selling success. So true that selling to strangers is different than selling to those that know you. Those that know you may be “strange” to you but not you to them in a connected world. If you do the work. I have sold to strangers for many years. Some remained so, some became acquaintances but all those did so at their intent. A great result of selling to strangers is the friends I have made, and most of those started as strangers to me. I’ll agree we shouldn’t need to sell to those that don’t know us as much anymore. The approach you chronicle is surely a base of strategies and tactics to work from which is as good as any today. Important because in sales you need a plan and an approach. Don’t be in sales, act as one. I’ll add to the thread by noting that goals and purposeful selling must be present in your mind. Goals direct. Purpose clarifies your will. You’ll need will, online or face to face. You’ll need to know why you do what you do so you can remind yourself and communicate that with others. Interesting that the sales process helped you turn strangers into friends! I agree with you that you need a plan and a structured approach – we can’t simply try to be friends and hope we’ll sell. You need to know who you’re selling to, understand what they’re struggling with, and how you can help. Vincent, that wine catalogue was adressed to strangers nonetheless! Yes, that does sound like a great catalogue. Did you find out who wrote it? I assume they have their own in-house team, but I’m not sure. They produce a lot of direct mail stuff (monthly catalogs, sales letters with special offers). I even received a letter to announce that the Christmas catalog would arrive soon – unfortunately, the letter arrived the day after the catalog. Selling to friends is a lot easier. And you’ve included some great strategies for turning potential customers into friends first, then customers. It’s what Chris Garrett calls Attraction, Engagement, Sales. With the Engagement part taking as long or as short a time as it takes. Rather than the traditional dinnertime sales tactics of Attraction – Sales. Friends stay customers for longer. They buy more too. Your mini-story strategy the one I like. Oh, and yes, a very lovable sketch. Reminds me of the illustrations in my Dr. Seuss books. Great stuff! I like the way Chris Garrett phrases it – Attraction, engagement, sales. The topic of sales is a constant challenge, but definitely has a right and a wrong way, easily measured by the success rate. Yep, that’s absolutely true. Sales are easy to measure. Thank you for stopping by again, Barry. For me telling stories, and specifically personal stories is hard. But it’s the best way for readers to relate to what you write. It makes it personal. They feel you’re writing specifically for them. And that what helps me persevere. To rewrite my story until it’s right. Makes you want to grab a shot. Writing personal stories isn’t as hard as it seems. You can use your story as an example for something you want to help your readers with. The key with telling a story is to include only the relevant details . Especially when we’re telling a personal story, we tend to include details that feel important to us, but that are irrelevant to communicate our idea to our readers. Good point. I should remember to edit out all the irrelevant parts. So the story is more compelling. I guess I lucked out. I never met a stranger. For forever I raised money for a University. Oddly enough it was never about the money. It was always about the relationship/relationships. Never be closing is real. P.S. Rarly do people, even in the context of generosity, “give” money away. They do invest it. It was fascinating to discover what a donor expected in return for their contribution. Hint, they didn’t want stuff. You never met a stranger? In the southern part of the U.S. to include Tx. the statement, ” He/She never met a stranger, ” is a complimentary colloquialism, probably a metaphor, that describes a person who is a highly relational individual & friendly, who can and will talk to anyone, anywhere. It has as much to do with the willingness to listen as it does with the willingness to talk. It is based on respect. I’ve heard that statement all my life. I can imagine now how strange it sounded when it is heard literally. On another level though, while I meet people whom I don’t know, I assume some basic things about ever person I do meet. The two of us are aware of the experince of fear, hope, anger, love, desire, confusion, anticipation and the litney that makes us human reguardless of the place of origin, language, customs or traditons. Be still, don’t rush. Listen. Risk the opening line of a conversation and I find it a rare person that won’t follow through with a conversation. Basically, I start in the middle of a relationship with any person I meet. I start with respect. It can develop or derail from there. But, I like you to start with. It really is hard for me to meet a stranger. Ah, now I understand what you mean. I like that idea! And I agree – in most cases it’s good to start with respecting someone. I can always change my mind and decide I don’t like them later on, can’t I? I’ve noticed that here in the North of the UK, sometimes when people haven’t seen you for a while (and when they think they should have seen you sooner), they’d say “Hi, stranger!”. It’s like the opposite approach. Perhaps almost a little unfriendly, but as far as I’ve experienced it’s never meant in a bad way. And, “later on” can be no longer than a heart beat away. I am close to releasing my FREE eCourse and keep wondering whether I’m giving away too much information (Technique #2). Will people still want to buy my book? I know deep down that the answer is ‘yes’. After all, look at you. I read everything that you write and still look forward to purchasing your products. I’ve also had a little difficulty overcoming Technique #5 and posting a picture of myself on my home page (I’ll let you know when it’s live). What if my potential customers don’t like the way I look? Will I look too fat or too bald (I really don’t give a crap about that one)? That’s stupid thinking too. After all – I’ve been married for 41 years to a very attractive woman. So I can’t be all that bad. You continue to give me confidence as I get ready for my first product launch. Thanks for all that you do. And I’m always happy to see your face pop up in the comments – you look friendly and approachable. Someone I’d like to buy from. It’s not about being blond, or dark, or bald, it’s about the human connection. It immediately makes your site more personable when you add your picture. Please add it! What a helpful, informative, and important post. Those who embrace it and use its teachings may find it to be a game-changer. Thank you! Looking forward to reading your book. My blogging skills are zilch, so you’ve got me excited to learn. Excitement to learn is the best way to learn! I hope you’ll enjoy the book, Charles. Thank you for buying. Truly awesome post. And to think, it was inspired by a Christmas catalog. The saying is true. You can certainly find inspiration anywhere. I love this post. If you’re writing copy or selling something, sharing your secrets … or giving the impression that you’re sharing something secretive is a huge win. We all want to know secrets. So I agree, that’s truly a great tactic. But what I like the most, and I know I’ve mentioned this to you in previous posts, is the telling stories part. That example you gave really made me want to read more … and I’m not even a wine aficionado lol. But it goes to show you how simple stories can really pack a punch to anything we write. Thank you, Andrew, and thank you for be a loyal commenter. Even if you don’t like wine, you might want to get a few wine catalogs – they’re excellent material to study and to improve your writing. I absolutely agree that you have to meet those needs you listed if you want people to feel inspired to buy, share or whatever results we’re hoping them to achieve for us. I like the idea of those special personal touches and of course, exclusive secrets as gifts. You’ve certainly given me a lot to think about! I’m a learning junkie, so I do have a couple of degrees. But I’ve learned most from doing and making mistakes, and occasionally a course for polishing a specific skill. Hello Henneke! !Greetings from Brazil. I start my journey as salesperson few weeks ago and my biggest desire were to not be pushy and I read a lot of tips and techniques of sale but nothing were soul touching like this one, I really felt the love you feel for what you do and that’s something. Unfortunately I don’t know English that much to express better but I can say I’m so glad I found your post, your site and “you”. Is like stepping into a nice, warm and cozy coffee shop and receive a beautiful smile from the stranger person sitting in front. Though I learned through the comments here that “there no are strangers”. Happy New Year! Happy selling, and best wishes for 2018! Refreshing. Being in an industry with a reputation for being pushy or “hit and run” (Car Sales) I’ve had to struggle (mostly with my managers) to allow for genuine connection and attraction rather than “assault”. At first I had to find a balance, now they are beginning to trust it works. (For me at least). Great to hear that a less pushy approach works in car sales, too! Thank you for stopping by, Robin.